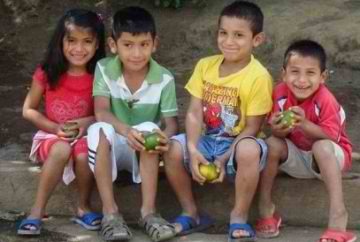 Since the Sponsorship program began in 2002, over 200 children have been sponsored. For many of these students, the program has given them an opportunity to study for the time in their lives. the Sponsorship program also includes a before and after school program designed to give students extra help with their school work and to also utilize music, dance and art as a way to inspire learning. These students have shown that if given an opportunity, they can achieve remarkable things! To date, over 30 children have graduated from secondary school. Of these students, 8 have since completed technical school degrees in mechanics, nursing, computers, finance and business and 10 have graduated from the university in tourism and hotel management, business administration, journalism and medicine.